As the countdown to The Equerry Bolesworth International Horse Show gets underway don’t forget to book your camping and overnight stay. The five-day event offers a unique and thrilling experience, which combines top-level dressage and showjumping competitions with great shopping, a host of thrilling water sports on the lake and fun family entertainment. With so much available to do and see, you won’t want to miss out on anything, so why not consider the brilliant camping on site and take a break at Bolesworth? As well as all of the equestrian action, there’s a huge array of other activities and entertainment across the showground, so there truly is something for everybody. A new attraction for 2017 will be the International Pro Wake board tour. The lakeside will be transformed into a stunning Water Festival Zone to include a Beach Bar central to the viewing area. There will be plenty of opportunities to get involved on the water with ‘Have a go’ Wake Board sessions, paddle boarding, kayaking and water zorbing. Being a dog-friendly zone, Bolesworth will be hosting a very competitive Companion Dog Show on both Saturday and Sunday, together with ‘Have a go’ agility all weekend. Children will be spoiled for choice with a vintage fairground, and full range of attractions including climbing wall, inflatables, and much more! If you can tear yourself away from all the action, there will be many trade stands in the shopping village. 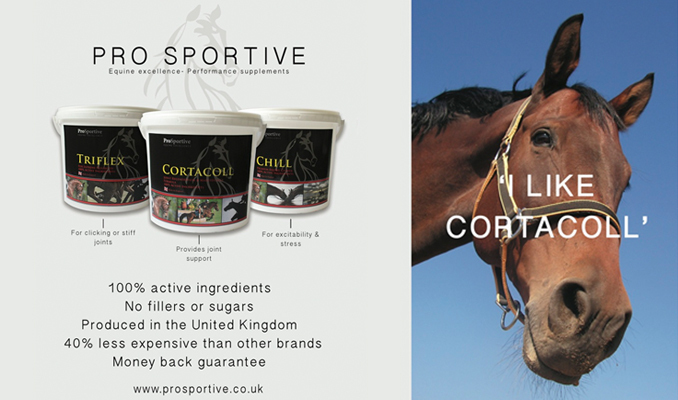 From well-known equestrian brands to jewellery and home furnishings, there is definitely something for everyone in the selection of high-quality retailers. You won’t even have to cook your own camp fire food – the fantastic food and drink options allow every taste and budget to be catered for, including a fully licensed bar and DJ till late in the Bolesworth Bistro every evening. If you would like to stay at Bolesworth, the beautiful camping and caravan site situated on the Bolesworth Castle estate is located off the main drive in a stunning grassed area. There is a water supply together with toilets and showers plus a campsite office for information and check-in. 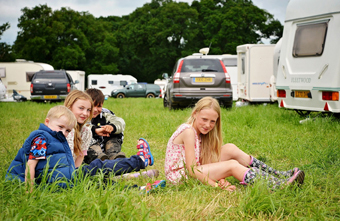 The campsite is just a short walk from the showground where all the action takes place. You can also use the campsite as a base for visiting the area’s many other attractions, with historic Chester just 10 miles away. £104.50 for 2 adults’ entry every day to the show and camping from Wednesday 14 June to Sunday 18 June 2017. Children under 14 are free. £75.90 for 2 adults’ entry for dressage on Wednesday 14 June and Thursday 15 June with overnight camping on the Wednesday 14 June 2017. Children under 14 are free. If you want to leave your tent at home and enjoy a comfortable camping experience, festihuts will also be available for rental. There is plenty of space inside a festihut and you will have your own bed, power point and light.